The next Huawei Mate smartphone might surprise the smartphone enthusiasts. According to a recent patent filed by Huawei, the next Huawei Mate smartphone is expected to have an unexpected design. 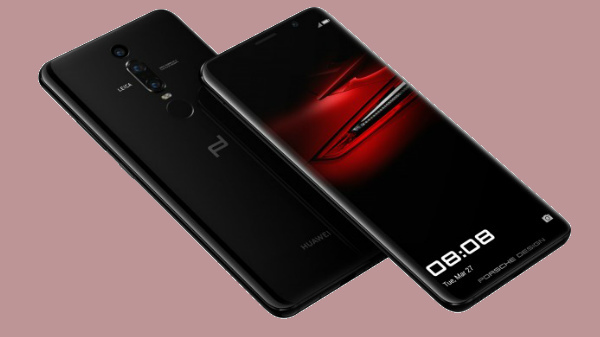 With this smartphone, the Huawei might launch its first bezel-less, notch-less flagship smartphone with a rectangular form factor. As more and more smartphone makers are launching smartphones with a display offering rounded corners, the upcoming Huawei Mate flagship is expected to have a rectangular form factor, or at least the patent says so. 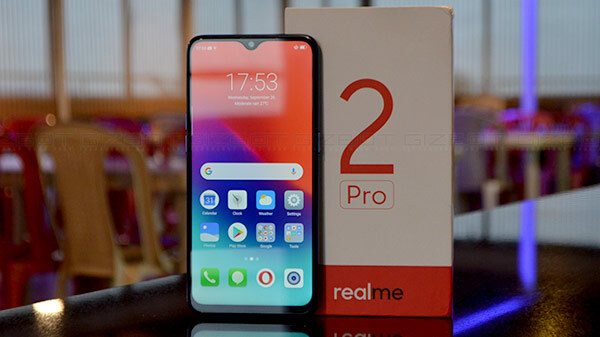 The device will have a notch-less design, but it will come with narrow bezels on the top and bottom of the smartphone. These bezels are expected to house the necessary sensors like an earpiece, selfie camera, ambient light sensor and more. 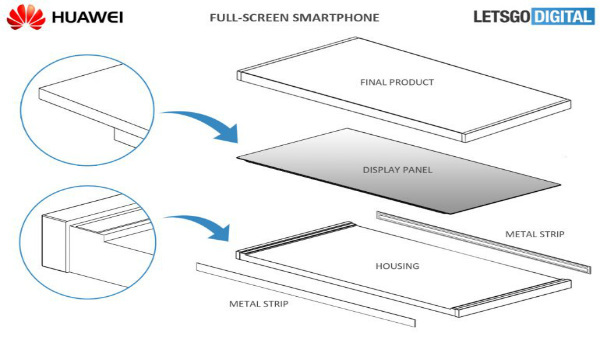 According to the patent, the mobile phone will have a re-engineered metal frames, which will support the smartphone to keep the display intact. However. Going by the recent leaks and rumors, this could be the upcoming Huawei flagship smartphone with a 6.9-inch edge to edge display. This also means that the smartphone could offer the highest screen to body ratio that we have seen on any Huawei smartphone. Going by the sketch images on the Patent, the smartphone might offer at least 90% screen to body ratio to offer an immersed smartphone experience. The upcoming Huawei Mate smartphone will have an OLED display, which seems like the successor to the Huawei Mate RS. Just like the Huawei Mate RS, the smartphone is expected to have an in-screen fingerprint sensor. The smartphone will have the latest silicon chip from Huawei, probably the Kirin 980 Octa-core chipset with 6/8 GB of RAM and 128/256/512 GB of storage. The smartphone is expected to feature a triple camera setup with improved optics to offer high fidelity photography and videography. The smartphone might also offer an iPhone X or the Xiaomi Mi 8 SE like Face ID with true depth sensors as well. The smartphone might also offer wireless charging based on Qi technology. As of now, there is no information on either pricing or the launch date of this speculated device. Considering the list of specifications, one has to spend high-dollars to get this smartphone.